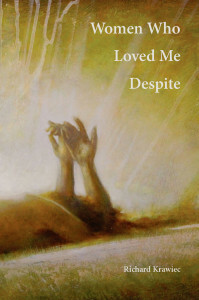 Richard Krawiec has published three books of poems, most recently Women Who Loved me Despite(Press 53). His work appears in dozens of literary magazines, including New Orleans Review, Drunken Boat, Shenandoah, sou’wester, Dublin Review, Chautauqua Literary Journal, Spillway, North Dakota Quarterly, etc. In addition to poetry, he has published 2 novels, Time Sharing and Faith in What?, a story collection, And Fools of God, and 4 plays. His Creative Non-Fiction is shared now primarily through his Facebook blog. He has been awarded fellowships from the National Endowment for the Arts, the NC Arts Council(twice), and the Pennsylvania Council on the Arts. 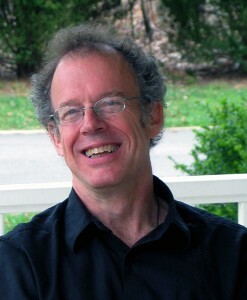 He teaches online courses for UNC Chapel Hill, for which he won their Excellence in Teaching Award in 2009. He is founder of Jacar Press, a Community Active publishing company. www.jacarpress.com He has worked extensively with people in homeless shelters, women’s shelters, prisons, literacy classes, and community sites, teaching writing. The razor in the title poem of this gritty, stunning collection can inflict pain or instill trust. It shaves away layers of duplicity and complicity. 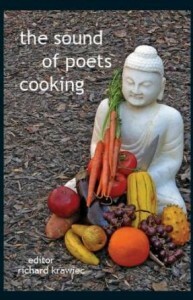 But readers will be surprised by the flip side of the title’s implication, that this collection is permeated by a persistent, soft undercurrent of vulnerability. Richard Krawiec’s collection, She Hands Me the Razor, pushes up against, and sometimes explodes through, the boundaries of both his and his readers’ shared truths. This tense and tender collection delves deeply into love, loss, and redemption, which could be the subtitles for each of our lives. Timely and heartfelt, a powerful and moving story about a working-class family in Pittsburgh in the late 1980s struggling to make it. Told mostly through the eyes of Pat, who spends her days trying to care for her developmentally damaged 12-year-old daughter Katie, 6-year-old Ellen, and her husband Timmy, who has been unemployed for over a year since the plant closed, Faith in What? 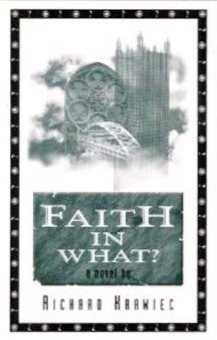 explores the economic, familial, and spiritual pressures families face as their city, their home changes from a working class town to a corporate headquarters. A story of great heart about people who struggle to maintain their hopes and dreams.